Ticketmaster: Why do so many music venues use it when everyone hates it? Why Do So Many Music Venues Use Ticketmaster? 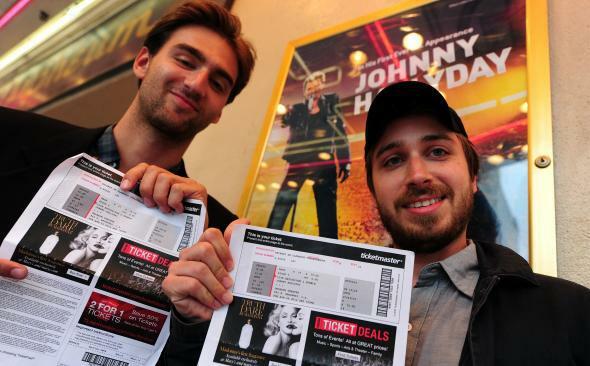 Concert-goers display their Ticketmaster-distributed tickets for French rocker Johnny Hallyday in 2012 in Los Angeles. This is not meant to be a pro-Ticketmaster response, per se. You asked where it adds value for venues and artists, so naturally this would be things it does right. Marketing. Ticketmaster’s website is one of the world’s top five e-commerce sites (according to Ticketmaster). It gets a lot of eyeballs every day, and it helps steer those people to buy more tickets. It has a huge database of past ticket buyers, and it knows a lot about those people—things like what sort of tickets they’ve bought in the past, how likely they are to buy tickets if they’re presented with a discount via email, etc. For better or for worse, for many people, when they think of buying tickets to something, they think Ticketmaster. What does all this boil down to? Venues that choose Ticketmaster think they’ll sell more tickets on Ticketmaster than they would on competing platforms (or on their own websites, for instance). Money. Ticketmaster sells more tickets than anybody else, and it’s the biggest company in the ticket-selling game. That gives it certain financial resources that smaller companies don’t have. Ticketmaster has used this to its advantage by moving the industry toward very aggressive ticketing deals between ticketing companies and their venue clients. This comes in the form of giving more of the service charge per ticket back to the venue (rebates) and in cash to the venue in the form of a signing bonus or advance against future rebates. Venues are businesses, too, and thus they like “free” money in general (signing bonuses), as well as money now (advances) versus the same money later (rebates). Expertise and a big team. Ticketmaster has been around for a long time. It has a giant organization. There are teams after groups after departments after divisions to handle various aspects of the ticket selling process (e.g., teams that help box offices “build” their events in the system, teams that create customer newsletters, teams that decide which events get which marketing assets on the site, etc.). It gives venues peace of mind that things will not get messed up somehow and hopefully gives venues new insights they can use to help them sell more tickets. Easy-to-find employees who know it. There is a workforce out there that knows how to work with Ticketmaster’s software (think MS-DOS command line stuff, although I understand it’s releasing new tools that are a little more current). It’s been around for a long time, and it’s probably the most-used ticketing platform in major venues. If your box office manager decides to retire, you will have plenty of people to choose from who know Ticketmaster’s systems and how to work with the regional offices. It works (mostly). The ticketing company cliché is most say they’re scalable and can handle major on-sales without collapsing, and then they get a major on-sale and collapse. Ticketmaster is pretty reliable most of the time. You don’t worry too much that the site is going to break or fold under traffic. Eventbrite: What is Eventbrite’s architecture? Ticketmaster: Why do ticket sites charge such high fees? Online Ticketing: Why is one return ticket often cheaper than two one-way tickets?